We offer complete LED tape light solutions from multiple manufacturers, with advanced LED tape lights from Core Lighting, Nora Lighting, American Lighting, and Maxim Lighting. Each tape light system has its own unique set of advantages. Contact us for assistance in selecting the right system for your project and getting a quote. Advanced tape light installations require thorough planning and attention to detail. 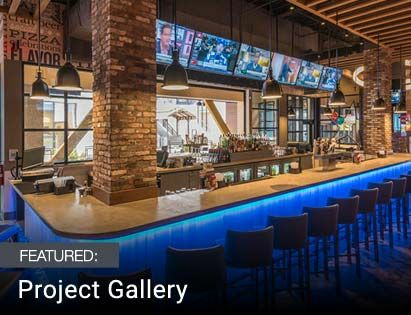 Let us work with you for a customized LED tape light solution tailored to your commercial project. 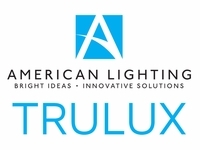 American Lighting Trulux: High performance, high CRI tape light reels with a unique wireless control capability, allowing you to place a dimmer or controller anywhere within radio/WiFi range of the tape light. Core Lighting: Specification-grade, high CRI tape light system with a solution for every type of linear application. Flexible lighting is available in both indoor and outdoor versions with multiple white color temperature options, as well as static colors and color-changing RGB and RGBW. Contact us for more information on Core Lighting tape light. Maxim Lighting StarStrand: Pre-manufactured segments of various lengths with built-in connectors allow for easy "plug-and-play" installations; capable of very long maximum runs. Contact us for more information on Maxim Lighting tape light. Nora Lighting: High performance, high CRI tape light reels with separable connections for easy in-field modification. 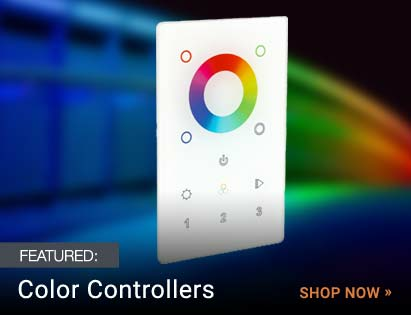 Available in multiple white color temperatures and RGB. Contact us for more information on Nora Lighting tape light. Whatever project you use LED strip lighting on, you�ll be saving a bundle because LEDs reduce energy costs and last much longer than normal lighting options. In addition to an increased range of applications, low voltage lights are also much safer to work with. Whether 12 volt or 24 volt, low voltage lights have only a fraction of the voltage running through them, after the transformer has stepped down the voltage, which reduces the shock hazard during installation. Don�t forget the driver! 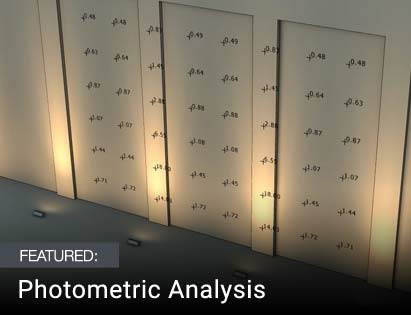 Low voltage LED strip lights require some sort of driver to step down the line level voltage to the proper voltage needed by the LED diodes, and switch from AC to DC current. Some drivers are small and unobtrusive, while others can be quite large. The size and weight of the driver/power supply is dependent upon the size of the power load it needs to handle. Generally, the longer of run of LED strips, the more power they draw, the larger the driver. Be sure to purchase a driver that is the appropriate size and capacity for your lighting project, and determine ahead of time where the driver will be located. Always refer to the product cut sheets and instructions for maximum run limitations. TO PROTECT YOUR INVESTMENT AND ENSURE OPTIMUM PERFORMANCE, WE HIGHLY RECOMMEND THE USE OF SURGE PROTECTION EQUIPMENT ON ALL LIGHTING PRODUCTS.